Did you know that according to the Feeding Tube Awareness Foundation, there are over 300 conditions that require children to receive a nutritional support through tube-feeding which is expected to continue to rise? The decision to use a feeding tube can be frightening for parents, children and siblings alike. 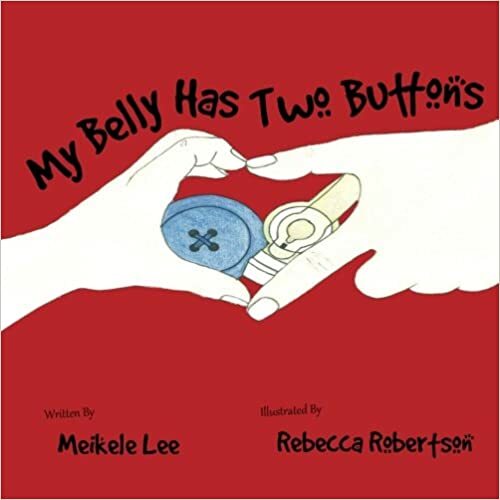 Meikele Lee, author, mom and pediatric feeding disorder advocate, wrote this book through the eyes of 2-year-old Nico who takes the reader through his own journey of using a G-tube describes the meaning of NPO (nothing by mouth) and his MIC-KEY. A MIC-KEY button is used to conceal the tube as well as decrease the risk of snagging and removing the G-Tube. Nico explains his day of using a feeding bag. I enjoyed reading this book. The book does a great job in describing the purpose of a g-tube and would be an appropriate book for children new to using a feeding tube, family members including siblings, extended family member and teachers interested in expanding disability educational programs in the school. This book is the long-awaited follow-up to the best seller, The Out-Of-Sync Child. Presenting information and advice for tweens, teens, and young adults living with Sensory Processing Disorder, and their parents. 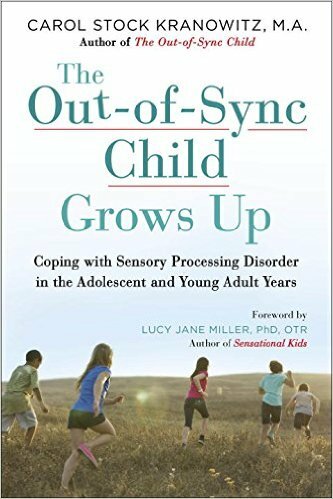 The purpose of the book is to offer coping strategies for SPD, help readers living with SPD share their stories and to increase public awareness about SPD. The book is broken into 4 parts. Ms. Kranowitz begins the first chapter with background history o how she started gathering information on SPD. Chapter 2 describes typical and atypical development. Part 2 describes coping with daily activities and part 3 explains coping with relationships while part 4 provides insight into living an “In-Sync” life. The book also provides personal stories from people with SPD. Their stories move the book from one of practical tips to truly understanding the experiences of a child with SPD. The format of the book will help people with SPD realize they are not alone and help both parents and professionals understand the needs of a teen and young adult with SPD. 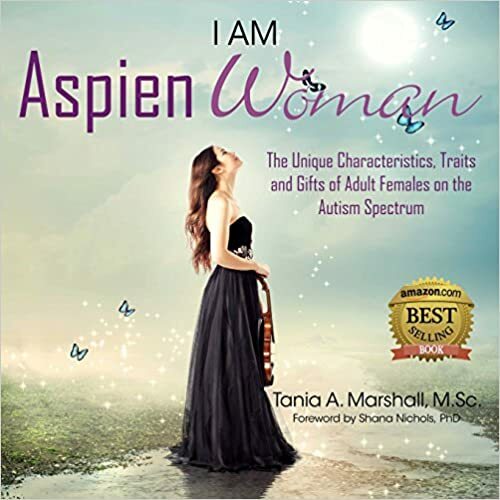 I Am Aspien Woman: The Unique Characteristics, Traits and Gifts of Adult Females on the Autism Spectrum. The number of articles written on Asperger’s syndrome and people living on the autism spectrum has mushroomed over the last few years. Most articles and research studies focused on the typical characteristics of males, that is, until now. New evidence shows that women diagnosed with Asperger’s syndrome are quite different than their male counterparts. Females for instance are more likely able to imitate social skills and are better at masking certain traits and characteristics. As a result, many been misdiagnosed thus leading to years of depression, anxiety and psychiatric visits. One author hoping to shed more light on the subject is Tania Marshall, a psychologist and author with extensive training and experience in neuro-developmental conditions including Asperger’s syndrome, ADHD and sensory processing disorder. Based on her professional practice experience, anecdotal evidence, and current research, Ms Marshall weaves a story of validation, self-discovery and self-awareness through a visually stunning book. The book is full of personal stories and quotes directly from Aspien Women with added commentary from parents, former teachers and therapist. The book is divided into 3 sections. Part one describes the various characteristics and traits. Part two introduces the reader to “real-life Aspien women superhero mentors” including Dr. Temple Gradin. Each mentor describes their strengths and top tips. The author successfully accomplishes her goal in introducing through this book, the characteristics, traits and gifts of adult females on the spectrum. Ms. Marshall’s book is an excellent book for anyone wanting to learn more about Asperger’s from the perspective of women on the spectrum. While the book on the surface seems to be intended as a form of self-discovery, I equally recommend this book to parents, educators and employers. I do believe this book is only the start of a conversation that is long over-due.